The S&P 500 index quickly gained points recently and now it’s only 2% away from hitting the historical landmark of 2930 that was established also quite recently, in September of 2018. Dow industrials opened the month with an almost predictably strong data as well. It’s been rising for 13 consecutive years by now. Overall, the market is stacking up and trying to hold on to its gains. One of the main reasons for this is the fact China’s recently unveiled manufacturing reports turned out stronger than they were projected to be. The overarching bullish expectation here is that the country’s economic shortcomings will bottom in 2019. ISM manufacturing also turned out more positively. Another factor that contributed to the rising indexes were the increased construction spending figures. With a lot of the market in an uptrend, Lyft is experiencing some tough times it seems. The company’s stock price opened up at 87 dollars this past Friday, only to close at 78 and now hangs below its IPO price of 72 dollars at 66.66 USD per share. Such a drastic fall in just 2 days can only mean one thing – Lyft was overpriced and the price corrected itself. Some analysts are going even further and are valuing the company significantly lower than even its current price, saying that the future is looking tough for the ride-sharing giant. Lyft’s problems with the IPO serve to remind the investors and companies that world-changing ambitions often have unforeseen complications. Despite this fact, investors appear to still have faith in Lyft, as the money keeps coming. The problems seem to stem from the fact the IPO Lyft conducted raised the price higher than was projected. A lot of experts of the industry appear to believe that this deal will result in a new rise in the interest of the stock market. The market valuation for the company currently stands at 22 billion USD. This is surprising to many, given that the ride-sharing company had a net loss of almost 1 billion USD last year and has yet to put forward a solid, realistic strategy of becoming profitable over the shorter time period. When a certain stock is having problems, the market usually rushes to create an estimate of where the next support level will be. When the support level is reached, it means that the market has finally established the actual worth of the company’s stock and the price decline will slow down or stop entirely. This is usually followed by a significant uptrend caused by investors flocking to the stock again until another correction is made eventually. The thing that makes the Lyft situation a tad more complicated is the fact that we have to determine the support of an IPO, which is a much harder challenge, as an IPO has no trading history based on which the statistical estimates could be made. Things have changed quite a bit on the stock market nowadays. Various companies stay under private ownership for longer and longer. The news feeds are full of stories you would never have expected several years ago. This is caused by the fact that the market is overflowing with venture capital. Four rounds of funding were a thing to behold no too long ago, however, now it’s viewed as more of an expectation from good enough companies as opposed to a fortunate exception to a rule. Lyft was financed a whopping 19 times over just the 7 years it’s been around. General Motors might be experiencing problems now (check up on this), but in 2015 the company raised 1 billion USD in its Series F round of financing. And now the IPO that had the stock market in frenzy arrived: Lyft. The company seemingly didn’t expect such a strong response, because the actual results of the IPO dwarfed the 62 USD per share that was expected at the beginning. The number kept rising and rising until it hit 72 dollars per share for 30.77 million stock shares all in all. The additional 2.2 billion dollars made sure that the company’s stock was now priced at around 20 billion USD, which was an almost 40% increase over the funding round that was held around 9 months before the IPO results started rolling in. 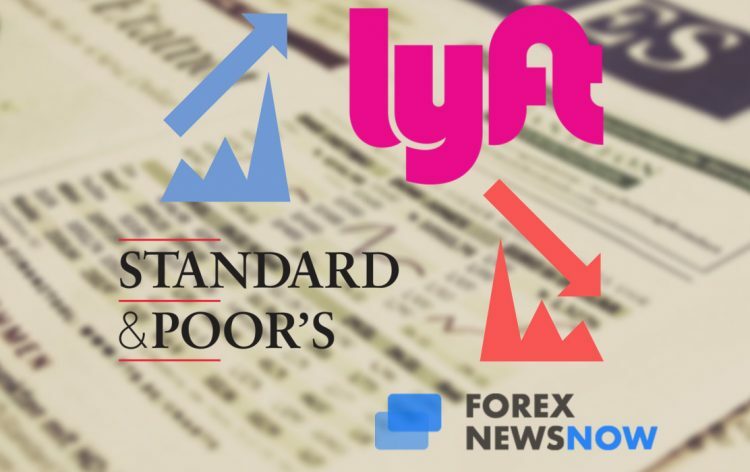 As of right now, the company’s shares have been on a downtrend for the second day in a row and experts are becoming increasingly concerned about the valuation that the ride-sharing giant deserves to have. Michael Ward of Seaport Global Securities expects the price to plummet significantly. He values the price of Lyft’s shares 42 dollars. This number is somewhat close to the price of the company’s shares after the last funding round that we discussed, which comes to around 44.64 USD per share. Ward estimates the time period for the price point at 12 months. If this forecast comes to pass, it would mean a 39% drop from this Monday’s closing price of 69.01 USD. This is quite a downfall for the young company. “While we believe the ridesharing market will continue to grow and expect LYFT to be a prime competitor, in our view, current valuations reflect an overly optimistic view of consumer behavior in the US,” he says. Ward’s sell rating and Lyft’s decline come a day after the company’s stock dropped nearly 12 per cent, its second day trading in the public market. Lyft celebrated its initial public offering on Friday, as the stock surged 8.3 per cent. Still, a lot of investors seemed to buy into Lyft’s claims regarding the potential size of its market, which was made obvious by the IPO numbers the company ended up with. “This is a lightning start for Lyft’s stock as investors are salivating [over] owning a piece of the $1 trillion ride-sharing market,” Dan Ives, director of Wedbush stated in a recent comment on the issue. It’s still hard to say what future awaits Lyft and its shareholders, but analysts like Ward aren’t optimistic. If the company doesn’t adjust its expectations and provide a clear strategy to make money for the investors, tough days for Lyft may be just beginning.